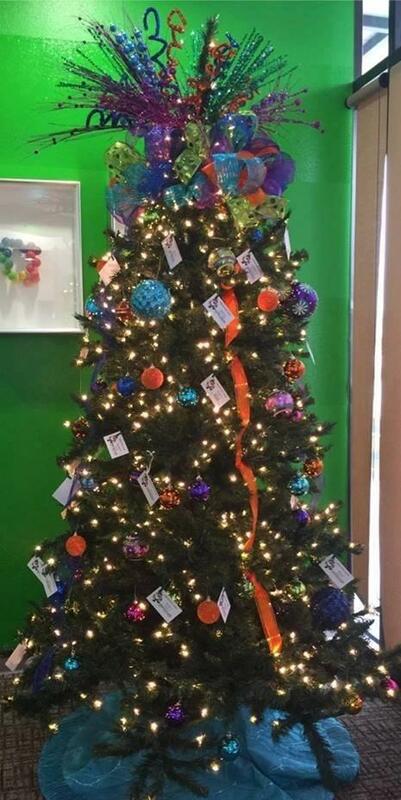 Thank you to everyone who chose an "Angel" on our Christmas Wish Tree. All gifts benefit the neglected and abused children from Johnson County. For each child that you selected, your name was entered into a drawing to win a Toys "R" Us gift card. We will announce the winner soon!! It's one of our favorite annual traditions. 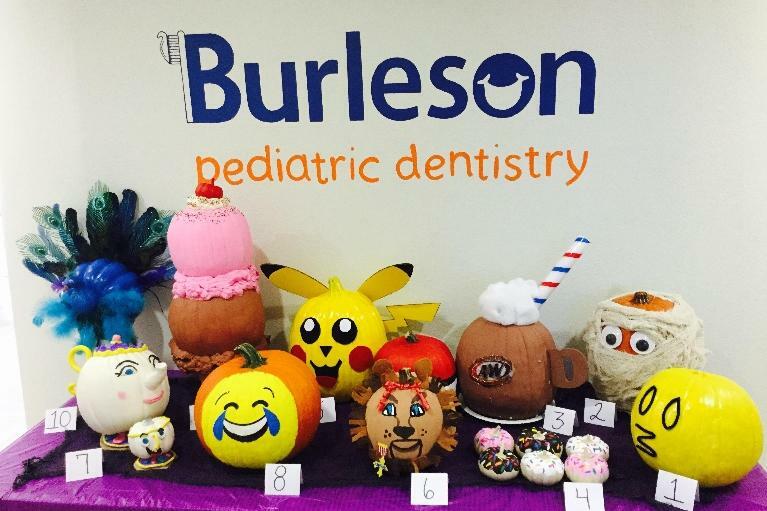 Our staff pumpkin decorating contest has begun! We want to know which one you think is best. By voting and participating, your kiddo(s) will be entered into a drawing to win a very special Halloween prize package. 1. Please go to our Facebook page, https://www.facebook.com/burlesonkids. 2. LIKE, COMMENT, or SHARE which pumpkin is your favorite. Sharing will enter your name into the drawing more than once. Contest ends October 31st. Thank you for your support. Moms and Dads, your kids are finally back to school armed with new school supplies and their best looking outfits. While you are pulling out wet swimming suits from under the beds and cleaning up junk food wrappers and empty soda cans, you may wonder how some of your kid’s summer indulgences may have affected their daily routine and health of their teeth. Back to school is a perfect time to schedule a visit with their dentist to ensure your children's teeth are healthy and cavity free. Dental pain or disease can lead to difficulty in eating, speaking, playing and learning as well as many hours/days of missed school. 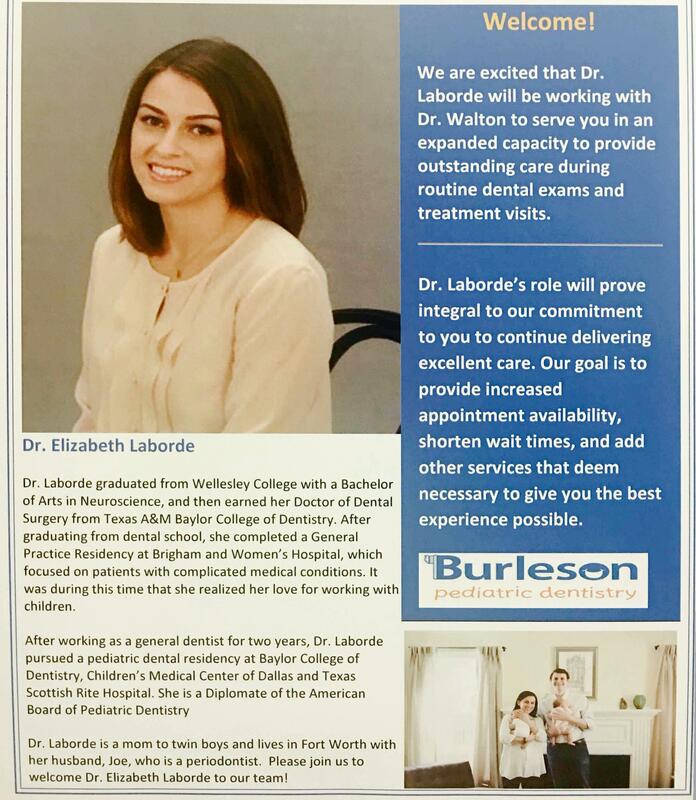 Burleson Pediatric Dentistry is thrilled to officially announce the addition of Dr. Elizabeth Laborde to our practice! Enter to win an Easter basket full of surprises! (Gift cards, toys, etc). We will have 2 winners! 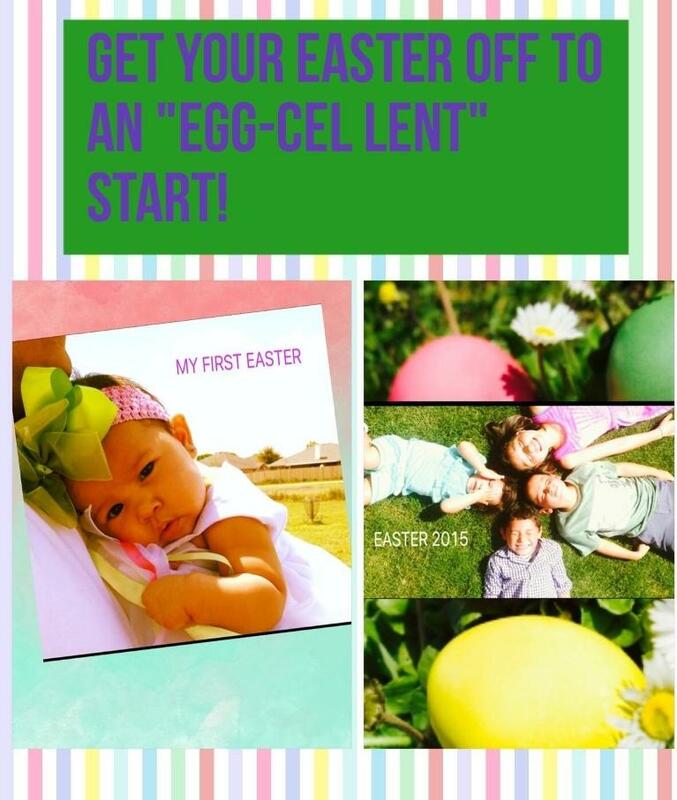 Simply submit your favorite Easter photo of your child/children. It can range anywhere from funny, silly, to scared of the Easter bunny moments. Or photos showing their beautiful healthy smiles in their best dressed attire! The photo with the most votes/likes wins! !